Malcolm Beverly (Mac) McCall was the son of George and Margaret (nee Calder) McCall Lot 15 Concession 13 East Nissouri Township. He married N. May Cole of Lakeside on August 8, 1953 at the United Church in Lakeside . 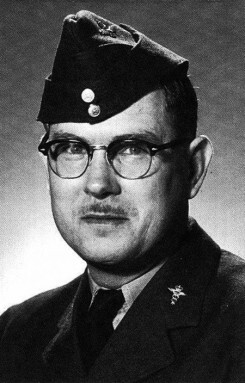 Prior to joining the Air Force in 1956 Mac was living in Thamesford and working for the County Health Unit. He served as a hygiene technician for the Royal Canadian Air Force and Canadian Armed Forces stationed in Edmonton and Namao Alberta; Ottawa, Ontario; Metz, France; Lahr, Germany; Ottawa, Ontario and finally Trenton, Ontario from 1956-1977. Mac passed away on August 5, 1991 and is buried in the Presbyterian Cemetery, Kintore, Ontario.